Citriodora Essential Oil is distilled from eucalyptus plant. Citriodora Essential Oil is an antiseptic herbal medicine; it relives cough & cold and skin laceration caused by virus. Our Citriodora Leaf Oil has disinfectant property, which makes it an ideal ingredient in sanitization products. 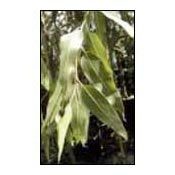 We are the prime Citriodora Leaf Oil Exporter and Supplier catering natural and pure Citriodora Oil. The Fragrance & Flavor Development Centre (FFDC) of our company takes stringent quality control tests, to ensure pure Citriodora Oil reach our customers.